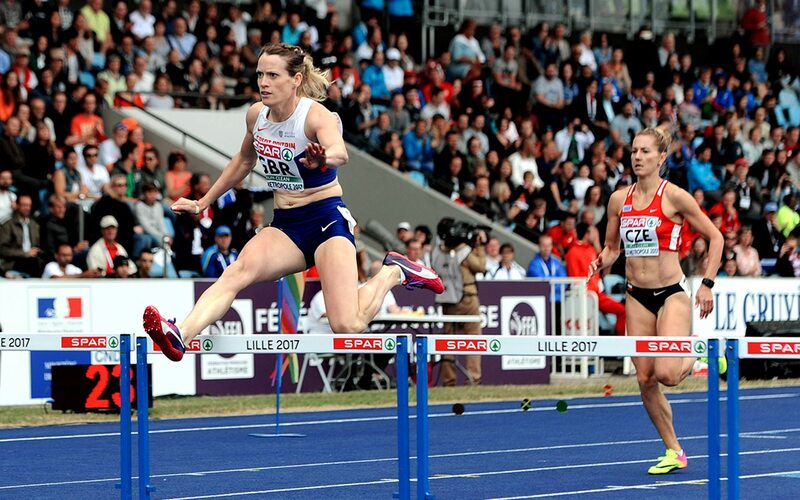 When Eilidh Doyle disembarked the plane on her return from the Monaco Diamond League to find a voicemail on her phone from Neil Black, she was a little concerned. The message gave nothing away so, when she later made contact with the British Athletics performance director and was told she was being appointed as the captain of the Great Britain and Northern Ireland team for the IAAF World Championships, which begin in London next week, she was somewhat taken aback. “I was really surprised,” says the 30-year-old Scot, who landed the role following a vote among the 78-strong British squad. Doyle had fully expected the role to go to someone such as Sir Mo Farah or Greg Rutherford but she is only too happy to embrace the captaincy and be a shoulder to lean on or someone to talk to for those that may need it. “I thought there were other people who would have got it before me,” she adds. “You just look at the team and there’s such a huge depth and experience. Doyle will compete in the 400m hurdles and the 4x400m relay in London and admits the news adds a huge extra dimension to what was already going to be a landmark occasion. Black thoroughly approves of the choice made by his squad. “I’m delighted for Eilidh,” he says. “She’s a fierce competitor and a fantastic role model for younger athletes in the team. Eilidh is Scotland’s most decorated athlete and has won a medal at all of the majors.